Virginia Democratic Gov. Ralph Northam re-entered the campaign circuit after laying low following numerous political scandals. Northam appeared Wednesday at a private event for an incumbent Democrat and will attend a campaign kickoff party Sunday, according to his spokesperson, the Richmond-Times Dispatch reported Thursday. Democratic Virginia Del. Betsy Carr hosted the Wednesday gathering for constituents, lobbyists and her supporters, according to the Dispatch. The governor will attend a barbecue for Democratic Virginia State Sen. David Marsden on Sunday, according to his spokesperson. Neither Carr nor Marsden face Democratic challengers or Republican opponents, according to the Dispatch. Northam said later that he doesn’t regret statements he made and blamed media outlets for misconstruing his words. Shortly thereafter, a photo from Northam’s Eastern Virginia Medical School 1984 senior yearbook page surfaced, depicting two figures, one dressed in blackface and one sporting KKK robes. The photo became public Feb. 1. Northam admitted to and apologized later that day for appearing in the “clearly racist and offensive” photograph, according to The Washington Post. “I am deeply sorry for the decision I made to appear as I did in this photo and for the hurt that decision caused then and now,” he said. Northam’s wife, Pam Northam, became embroiled in her own political debacle in late February after she allegedly gave cotton to black students during a tour of the governor’s mansion. 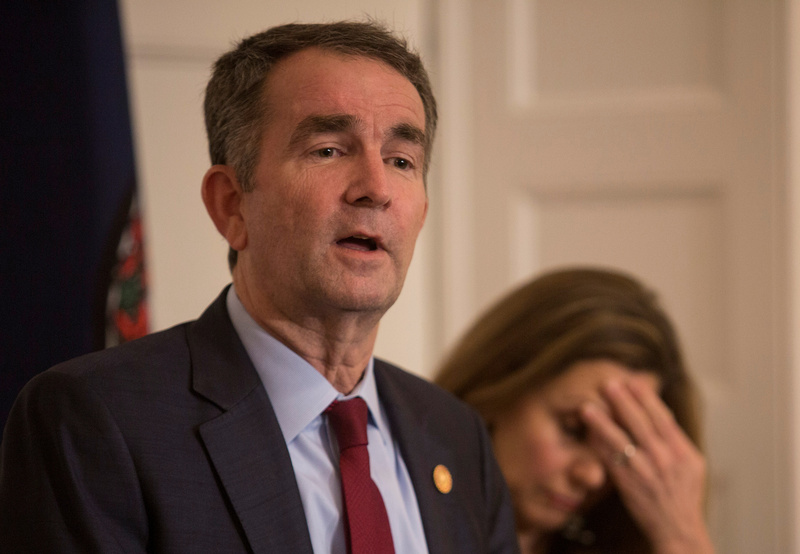 Northam repeatedly refused to bend to calls for his resignation and Virginia Democrats largely supported the governor despite scandals that seemed career-ending. Two days after the photo surfaced, half of Virginia Democrats still approved of the governor, according to a Morning Consult poll. Northam’s invitations to campaign stops note a clear win for the governor who was not expected to survive or fully recover from the scandals. Marsden invited Northam to provide him with a chance to talk to voters following the scandals. “It’s time we got some vehicles for the governor to talk to people informally instead of standing up at a podium at a big event. To let him sit down and talk to people, to make the case around the things he’s trying to do on racial reconciliation,” Marsden said in an interview, according to the Dispatch. “We need to work with the governor and come up with a plan for how to best serve the people of Virginia,” Marsden added, the Dispatch reported. Northam has served as Virginia’s governor since Jan. 13, 2018.